Lyssna på Gimme a Feelin från kommande albumet Space Invader som kommer den 8 juli 2014. Beginning with a ferocious blues-rock solo, the tune locks into a typically Frehley-like groove when he sings about a woman who’s ”got what it takes to jangle my brain,” the swinging guitar riff and pounding drumbeat recalling late-Seventies Kiss. 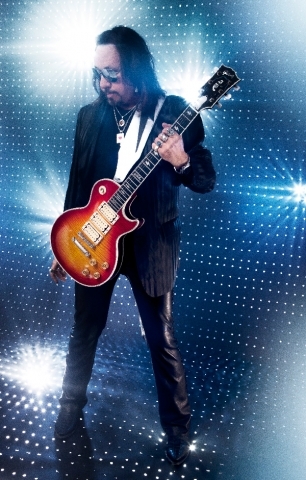 ”I’m really excited about this record, because everybody that’s heard the tracks just says they think some of the tracks are even better than [Frehley’s 2009 LP] Anomaly, and even showing another side of me,” Frehley told Rolling Stone in March.